After positioning the implant, implantologists can fix interim restorations, stabilise bridges or prostheses and also relieve augmented areas during the healing phase of the actual implant. A flexible zone below the prosthetic interface allows the necessary bending after insertion to align the interface. Through the common direction of insertion achieved, the provisional restoration can be incorporated without any tension. The advertising campaign with the provocative title of “Something solid in between – does it exist?” launched at the end of the first quarter in 2018 gave the product the expected thrust of attention. 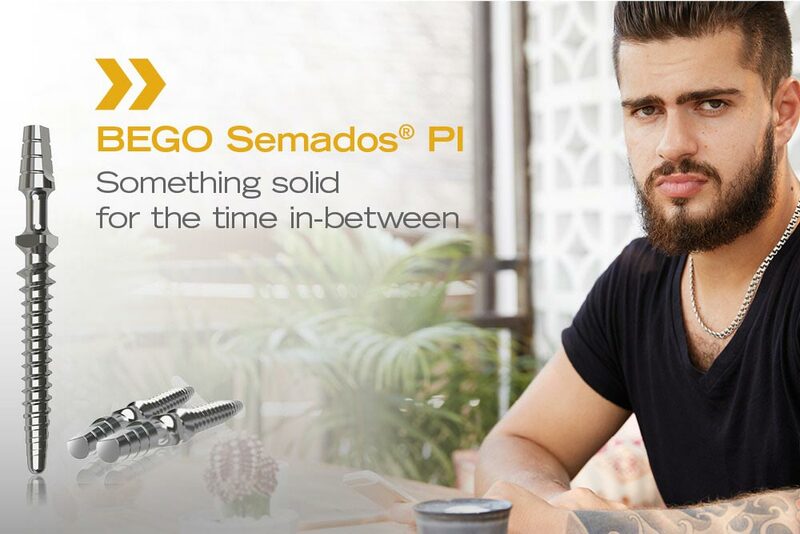 The BEGO Semados® Provisional Implant (PI Line) is self-cutting, has an untreated surface and is made of grade 5 titanium.